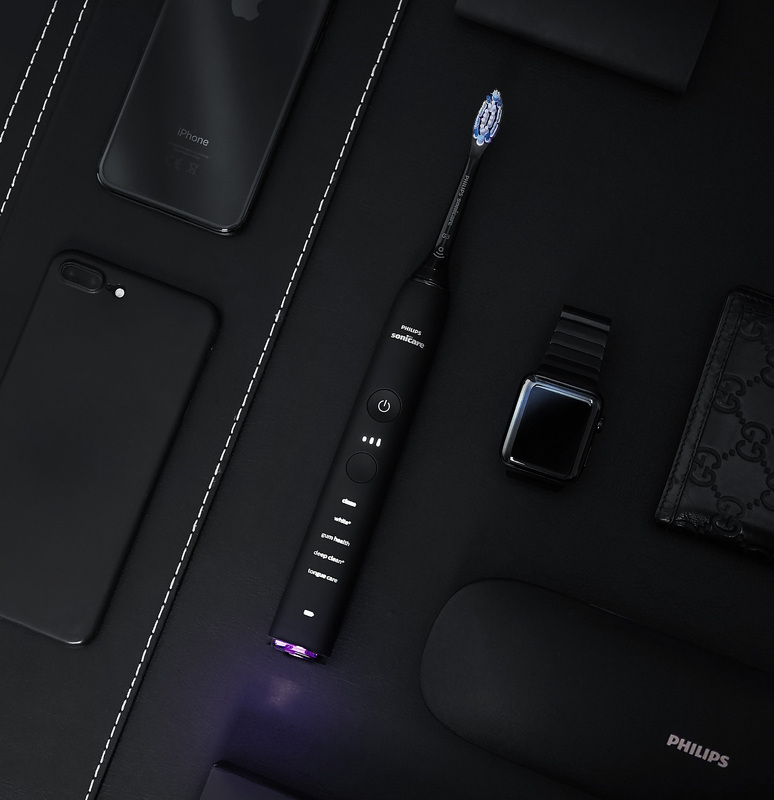 I got the chance to receive a smart toothbrush from Philips and I must say I’m surprised by all the extra features you get compared to a normal toothbrush. When you open the packaging, you get plenty of well designed accessories that complement your toothbrush. 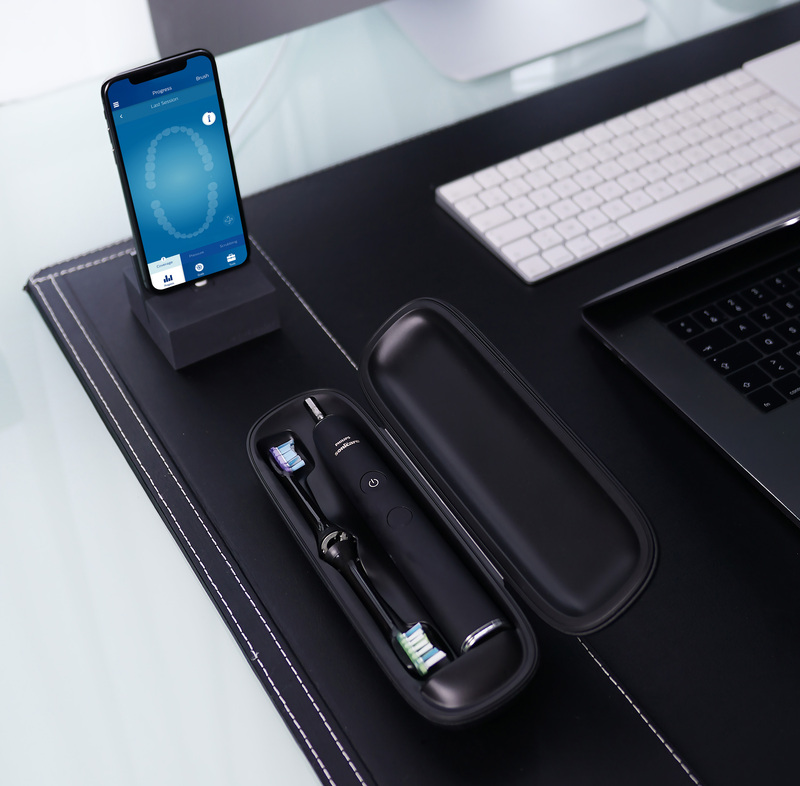 The packaging includes 3 different head brushes with specific features depending on your usage (Gum Care, White teeth and Plaque control), one head to brush your tongue, one cool charging glass that allows you to charge wirelessly your toothbrush and one elegant charging travel case. You get to choose among different colors. I went for the matte black and it looks gorgeous. The finish is matte and you also get a sleek travel case that allows you to charge wirelessly the toothbrush. 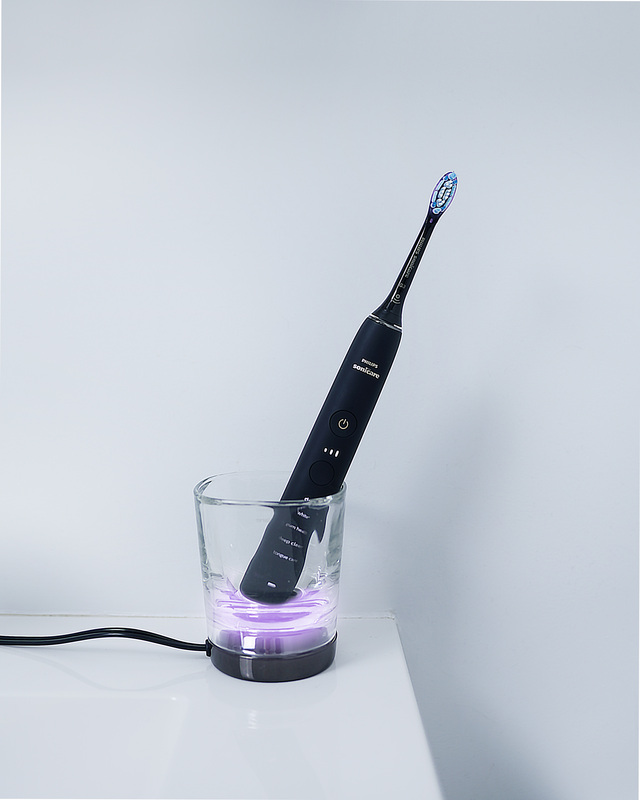 Apart from the charging case, the toothbrush comes with a wireless charing glass that is very user-friendly: you simply have to put the toothbrush in it to charge it. 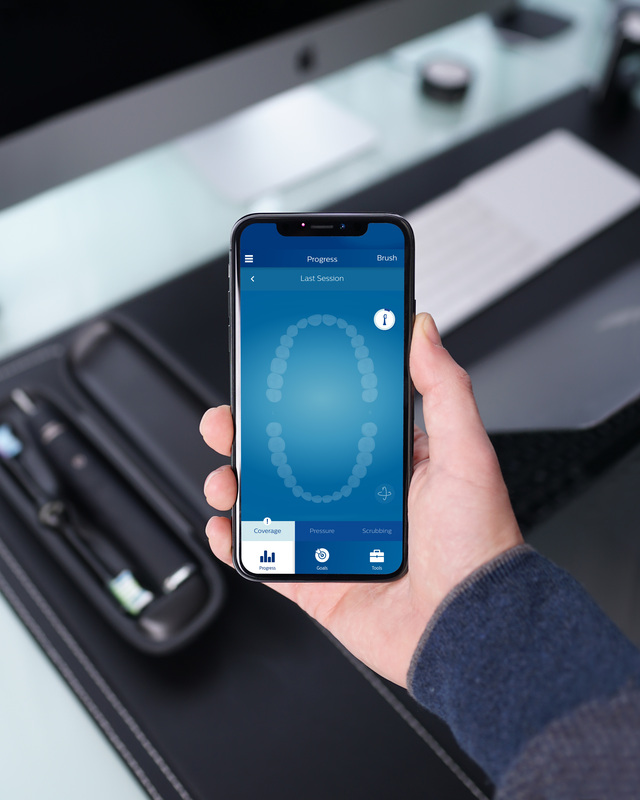 The toothbrush comes with a free mobile app called “Sonicare” which allows you to check whether you’re brushing your teeth right. I must admit that it actually helped me improve the way I do it. In addition, it gives you some tips to improve your daily care, wheter you’re looking for a fresh breath or whiter teeth. In short, I really love Philips products! I am already using the Philips ambilight TV, hue products and the trimmer 9000 and now the toothbrush. All of them are well finished and very functionnal. This sleek toothbrush, which includes the latest technologies, fits perfectly with my lifestyle.